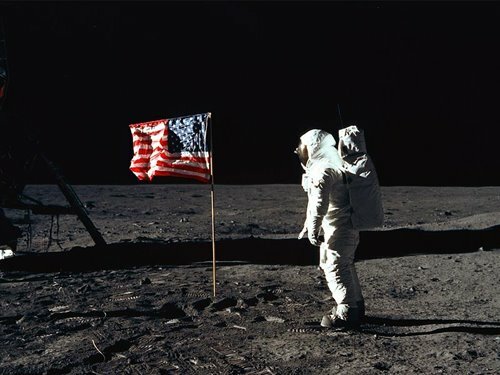 Watching the lunar landing is one of my earliest memories. Hard to believe it was 40 years ago today! I was 5 years old, going on 6, and my whole family was watching the large television in the den. "Come here, come here," they all shouted to me. "This is something you'll remember for the rest of your life!" I ran out and sat on the floor about 3 feet in front of the set and watched as the craft descended and the surface of the moon got closer and closer. It was like they were slowly floating downward. When they touched down, my family cheered! This is one of those moments that people remember where they were when it happened. These are the types of things that my family valued. We always watched the news. My parents took part in volunteer activities that consumed their nights and weekend and us kids were toted along. It is that type of foundation that forms what I am today. A total news hound, political activist, and community volunteer.